Agribusiness keeps growing in the Corridor region thanks to entrepreneurism, resources and research. Eastern Ontario has a rich history of farming. 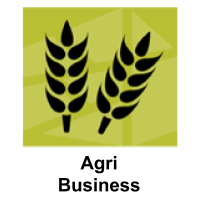 Today the modern agribusiness is a driving force behind the economy. In fact, over 24% of the regions land area is used for farming. The Corridor is rich with farms that produce a variety of field crops and an abundance of dairy milk — all of which support our wide array of food manufacturers. Our natural resources, from forests to farms, coupled with strong government partners enable the success of our wide array of agribusinesses. We boast leading food manufacturers such as Burnbrae Farms and Parmalat. The abundance of agriculture and agribusiness in the region supports our strong economy in many ways, including creation of new jobs and growth in tourism. The Corridor works with and welcomes companies that create products from raw materials — whether food, beverages or wood — for sale here and around the world. Our top ranking in milk production supports manufacturing of award-winning cheese and dairy products, a national leader in eggs and egg products. Eastern Ontario is well known and respected as a key engineering, research, development and product commercialization centre for the bioindsutrial/chemical manufacturing industry. By building upon our established knowledge and infrastructure, the Corridor is growing as a bioindustrial hub. The Corridor, in partnership with the BioIndustrial Innovation Canada and the GreenCentre Canada is reinvesting in the growth sector. With deep roots in refining and chemical production, metal fabrication, and engineering, it’s only natural that the Corridor is continuing down the path of progress. 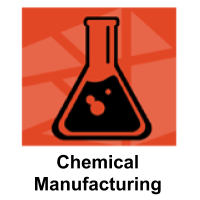 We are the home to key players in the polymers, resins and additives and well as industrial gases. We are proud to have Invista, Chemours, Praxair and DuPont as key players in our region over the years. World-class R&D and significant financial support aids the Corridor and results in outstanding relationships with research and academic institutes in the field of industrial biotechnology. These relationships allow for specialized centres that offer resources such as commercialization, advisory support and R&D matchmaking. These include Bioindustrial Innovation Canada (BII) in Sarnia, the GreenCentre Canada (GCC) in Kingston and MaRS Discovery District (MDD) in Toronto. Feedstock’s are renewable, biological materials that can be used directly as fuel, or converted to another form of fuel or energy product. Biomass feedstock are plant, wood and algal materials used to create biomaterials as well as fuels such as ethanol, butanol, biodiesel and other green hydrocarbon fuels. Eastern Ontario’s large agricultural and forestry sector provides an abundant and diverse supply of biomass feedstock for use in biobased chemicals, fuels and materials production. Our agricultural zone offers large volumes of soybeans, grain corn, winter wheat and wood supply. The region is an enormous contributor to Ontario’s corn and soybean supply. Speed, flexibility and access to markets are critical elements the Corridor offers to product distributors. With a large – skilled labor pool, a network of railways, highways and ports we are ideally situated. The distribution industry knows we have the most efficient and cost-effective environment in the north east. 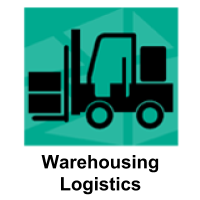 The Corridor is at the epicenter of the distribution industry in Ontario and easily fulfills a mandate for Quebec and the Maritimes for many enterprise clients. We offer a highly trained workforce, the most cost competitive offers along the St. Lawrence and Great Lakes system and guarantee less red tape to navigate. Product distribution companies benefit from a strategic location and easy access to East coast markets. Finding a location for your distribution center is also easy, with a variety of sites pre-approved for development and an inventory of available buildings on hand. The Corridor has many major distributors thriving in the area including Giant Tiger. Advanced manufacturing businesses are thriving in the SLC Corridor. 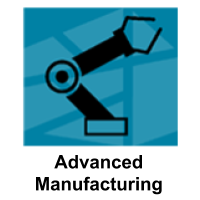 Eastern Ontario is at the forefront of the advanced manufacturing industry, with a wide variety of manufacturing businesses. Leveraging the most modern methodologies — from the development of robotics facilities to the best practices of Forbes 50 firms the region produces best in class air moving equipment, modern cable operations and much more. Products produced in the Corridor provide the “enabling technology” for sectors such as telecommunications, transportation, medical equipment, construction and consumer products. A wide-ranging industry presence that is composed of companies developing, energy-efficiency enhancements in building materials, robotics, contemporary supply chain management and more . Well-known names in the industry, including Prysmian Cables, Cardinal Health, Koch Industries, Canarm, and 3M have operations in the region.